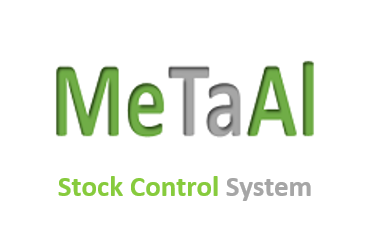 Metaal Stock Management offers a complete stock management features which is ideal for all business sizes (Small, Medium & large) with any number of employees. Recommended Stock Ordering : Generate recommended stock orders based on stock movement algorithm. Stock Count : Perform random or full stock count for any location with a click of a button. Stock Distribution : Distribute and transfer stocks between locations based on every location needs. Damaged and Missing stock : Automatically report damaged and missing stock. Stock Batches : Receive stock from suppliers in batches to ensure accurate stock reporting and costing. Dashboard and reporting. Metaal Stock Management Reviews Recently Reviewed! Cons: Couldn't find anything major however the search function can be better to enable you to search using any attribute. Pros: A great software with great functions, all our company needed to manage inventory. Easy to use. Great reports. Accurate stock count. As a project management i use Metaal stock management software so I can order the materials and equipments relevant to each project, in a very simple yet professional and accurate way. Scalability; whether our is huge or small software has room to grow. Cons: The search was a bit tricky and we gave Metaal this feedback, now it a way better than before so nothing actually to complain about in this software. Pros: The interface is simplified. The setup is clean. The level of service provided by the company is solid. We finally started to have better control of the inventory, monitor, manage and quantify everything related to the department. We are happy with our decision and will continue to recommend Metaal Stock. Cons: Too early for me to say but as far i m concerned I cant see any bugging con using Metaal stock system. Pros: Customer service is very responsive and happy to help. The system is very dynamic in customisation which is extremely helpful in our industry. Some useful option like Random Count and very helpful reports. A major PRO is the M smart, which becomes better and better after a time. Cons: I would have given Metaal stock management more than 5* if i could. Nothing i can complain about this software. Pros: We love almost everything compared to our old software and especially the fact that it is cloud based and I can access from anywhere. It never goes down and we can work remotely. Easy interface makes order entry fast. Cons: Most of the problems I see with the lack of detailed training materials, we asked if they can provide us and we are ready to pay fees, but it's still not ready yet. Pros: Metaal HR software allows us to digitise nearly all of the paperwork our company currently uses. Reports can be filed and accessed remotely. It is more secure than traditional paper-based systems. Cons: We asked for the mob platform, also some of us requires desktop application but personally i dont see any use of it as the cloud based one can be accessed using any device. Cons: The only con I see that there is no location option, you can see that the stock is there but you wont know on which shelf or drawer, It was there before so I can it's a bug. Pros: I like the fact that after using metaal inventory we have been able to increase the sales and profits with easy-to-access insights into profit margins, product performance, and inventory levels. Cons: I sometimes was struggling with search but in March there was an update which make the search better now. Pros: Fully functional, Metaal gives you features you would not find in standard inventory management software. Cons: I haven't found any real cons with Metaal. My biggest issue was with training . I would recommend that you have on site training with each purchase of Metaal. Cons: We love it, however the free trial should be longer than 7 days so customers can be able to check all the software functions. Cons: I m not a heavy user that's why I can't mention any cons, so far what I tried to do, has been done correctly. Cons: I have not yet found any problems or bugs in this software. I really like all the features i am using. Pros: Barcodes, notifications, random count, lots of fields and options, easy to get started, can be castomized to accommodate almost all what we want. Cons: I may not fully be understood how the reporting works but I think it's somehow limited. Pros: Can be accessed anywhere as it is a web based solution, Current reports are very helpful. It provides stock accuracy, margins. backorders, adjustments, etc. Cons: Probably the lack of more detailed training material. We've been using it since 18 months now and we can see updates constantly so may be soon we will have the missing training documentation. - Automatic stock monitoring, triggering orders when the re-order level is reached. - Automatic batch control if you produce goods in batches. - Identifying the cheapest and fastest suppliers. - Bar coding systems which speed up processing and recording. The software will print and read bar codes from your computer. Pros: Fully functional, Metaal gives you features you would not find in standard stock management software. Every transaction can be tracked with detailed reporting. Cons: We have experienced a very few problems and have to contact support. They have helped us every time with this. Pros: It makes us figure out exactly how much inventory you need. This makes it easier to prevent product shortages and keep just enough inventory on hand without having too much. We stay ahead of the demand curve, keep the right amount of products on hand and plan ahead for seasonal changes. Cons: Our account manager assigned by metaal is great and I'm so grateful for his knowledge he assists us facing any problem. Pros: Easy to learn how to use. Clean code. Good Dashboard. Giving good reports and Stats. Good collaborating tool. Fully integrated with the other modules. Saves us money and time. Reliable. Knowledgeable Customer Support. Cons: The system is pretty good and I cant see any flaws in it so far. I have been using it extensively in the past 3 months and I can say it is an amazing product. Pros: Web/Cloud-based - accessibility anytime, anywhere. Ease-of-use over some other products I've used elsewhere. Customer support engagement through various channels. Cons: Metaal requires some of training to use, but it's worth it in the long run. Customer support are really helpful and will dedicate an account manager for you to help through the journey. Overall a product that suits the majority of our needs and is easy to use. Pros: It is easy to navigate and provides several detailed reports that is extremely useful company wide. It provides visibility and traceability. I love the dashboard feature so all users can have a quick visual reference of what is happening throughout the business. Pros: Using Metaal Stock management, we stay ahead of the demand curve, keep the right amount of materials. It increases efficiency and productivity. Cons: It is useful to see sales by customer and item reports, this option might be there already but I am still getting used to the software. Pros: Like the random stock count and the fact that it automatically process the missing and damaged stocks and submit the reports in one click of a button. Cons: Would prefer stock locator from other locations to take in consideration minimum stock level that needs to be kept in the transferring location. Cons: We like everything in this software we think it is one of the best. With great technical support behind. Cons: Our employees are working with Metaal smoothly however they ask for some features here and there; nothing major though. We are waiting for the release of the mob apps. Cons: We would love to have live GPS capability for our vehicles delivering or moving our hardware stocks. Pros: The customization abilities are excellent. We only see what we need to see; with all the access control function. Cons: We need mob app so we can scan barcodes using the applications instead of using external devices. Cons: i personally find it a little complex, took me a while to get my head around the all the different things to upload. Pros: Our staff in the hardware selling division are dining and dancing using it as it made their life easier. As a user I am very pleased with the reports section which is my main concern. Cons: Not too much but more detailed help documents explaining the system functions will be great .